Coordination using BIM was the key to smooth multidisciplinary design for a giant remote oil gathering station. Companies liked it so much, we were asked back for more. 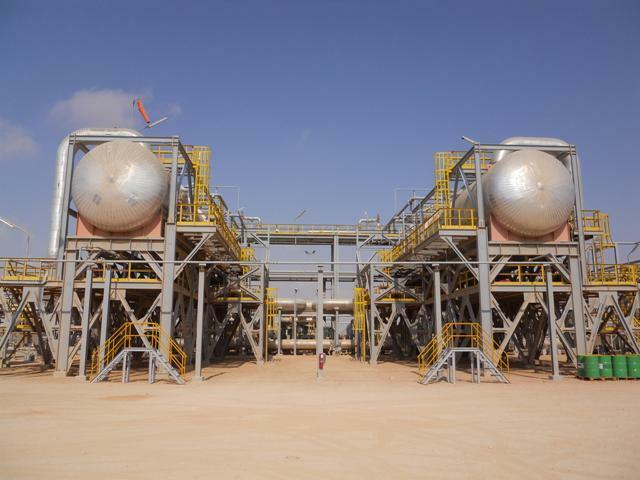 Huge pipes, pumps, and vessels enable the Mukhaizna Satellite 4 remote oil gathering facility in Oman to transfer up to 54,000 barrels of oil a day from remote wells to a central processing facility. A full engineering design was provided for the project, whose scale dictated a multidisciplinary approach. Building information modeling (BIM) allowed to deliver a clash-free, efficient process for our client Occidental Mukhaizna (Oxy). As design progressed, the 3D model enabled Mukhaizna Satellite managers to see how the completed scheme would look. This ensured the design matched their requirements, and was useful in training their staff. Mott MacDonald worked with Mukhaizna Satellite’s maintenance team to ensure there was sufficient space to maintain and replace critical items of plant. Sections of the facility’s supporting structure virtually dismantled sections of the facility’s supporting structure to check clearance for cranes, required to replace larger components. As the project moved into construction, BIM was used to check access routes for delivery of larger items. Also the BIM model to generate 2D construction drawings for the contractor. Early detection of clashes enables faster and more predictable construction by eliminating the need to resolve coordination issues on site. The efficiency we delivered through 3D BIM modeling and the benefits offered by a BIM-led approach to whole-life asset management resulted in Oxy immediately engaging us for another multidisciplinary design project.